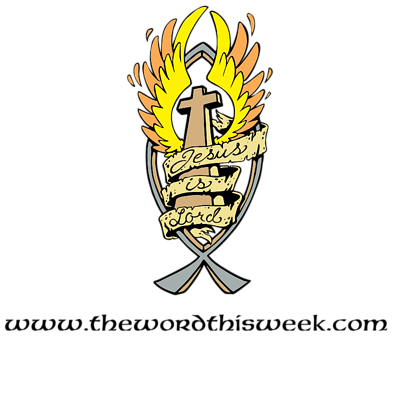 The Word This Week is a Christian home on the web where the Sunday scripture readings are published each week, along with a sermon or reflection on the weeks reading for all those interested in learning more about God's Word and how it is relevant to Christians today. Ours is not a place which is in any way meant to replace the teaching and communal worship experience of attending a church, but we hope that it will be home and refuge to those of you who want to learn about the Christian faith but for whatever reason don't go to Church, and for those Christians who can't attend church regularly or at all. Of course Christians who do attend church regularly are welcome as well - and are in fact encouraged to participate! For our bible readings and reflections we generally use the Revised Common Lectionary readings prescribed for each Sunday of the year with occasional variation due to the Australian Anglican Church's lectionary. By utilising this resource which is used by multiple denominations we will read through the entire Bible approximately every three years. This is a ministry that we hope to expand over time and we pray that it blesses all those who come across it. If you enjoy your visit to the site and want to help us grow this outreach please refer your friends and family - let people know we exist! The weekly readings and reflections are found through using the 'Readings and Sermons' link above. Please if you enjoy the site - or if you don't! Let us know by commenting on our posts or by using the Contact Us page. All content is Copyright 2012 - 2017. All rights reserved.